Founded by Solomon Freirich, the French-American company Freirich existed from 1922 to 1990. Initially, the main focus was the manufacture of accessories for clothing and hats (including for Chanel and Dior). However, in the 1960s, the company launched a line of handmade jewelry, distinguished by high quality workmanship. According to sources, son of Solomon Freirich, Arthur joined the company in 1955 and greatly expanded the manufacture of costume jewelry. Father and son immediately decided that they did not need much, they needed everything. However, keeping up with the titan volumes of the American bij-production was almost impossible. Accordingly, the Freirichs relied on the uniqueness of their jewelry, while the majority of large companies tried to reduce the cost of production, using automatic machines and conveyors. But the Freirichs continued making jewelery manually. 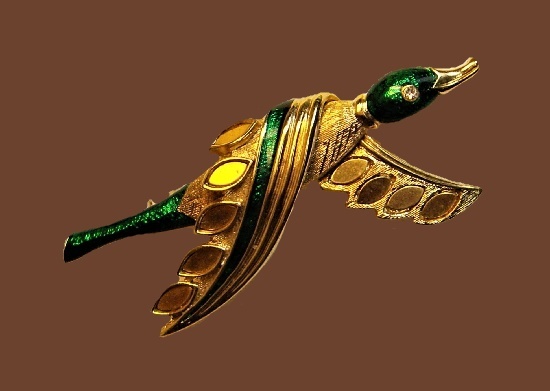 The craftsmen carefully assembled “multi-component” necklaces and bracelets, fused the cloisonne and chamfered enamels on brooches and pendants, manually fixed jewelery-cut crystals. Born in 1945, talented designer Laurel Burch had to leave her native town in California and move to San Francisco at the age of 14. Already six years later, remaining after an unsuccessful marriage with two children in her arms, she had to survive. Laurel finds a way out – she begins to make jewelry that sells on the streets of the city. Traditionally, her works combine in themselves different cultures, cosmic connection with earthly things. And even with severe pains, when she could not even rise from the bed, she continued to create … to create beauty, to transform earthly things into magical images. In 2007, Laurel died due to a complication of her illness. But her work remained forever to inspire our souls. Founded in the early 1960s by American designer Luca Razza, “L.Razza” became famous thanks to its jewelry line “Zodiac Signs”. 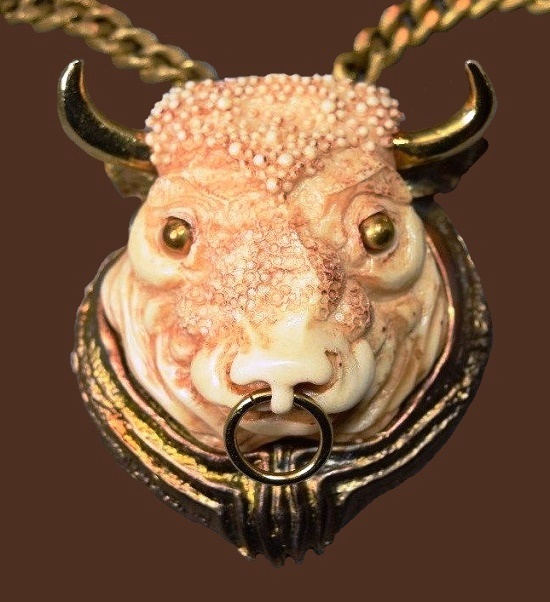 For example, as in the top photo – rare and collectible pendant in the form of a bull’s head. Such series of animal heads (elephants, lions, owls) decorations repeatedly appeared in glossy editions of that time. In addition, this company became known for developing a type of plastic that amazingly imitates ivory. Traditionally, the priority was large figure decorations with animals, zodiac signs, angels, and initials. And now the excellent products marked Razza very much appreciated in the catalogs, appear in fashion blogs with an enviable constancy. Noteworthy, Luca Razza jewelers made products by hand, using jewelry alloy of silver and gold tones, as well as plastic and enamel. The company was active in the jewelry market for 10 years, until the early 1970s. The French jewelry company Orena created high-end costume jewelry under the brand Orena Paris from 1977 to 2005. Noteworthy, all the making process was hand-made (enameling, assembling, polishing, etc). Traditionally, the jewelers of Orena Paris used gold and silver tone alloy, often textured. According to products marked Orena, jewelers often used red, blue and white enamels in the colors of the French flag. Also, green, purple and black enamel, rhinestones, art glass and crystals. High quality and craftsmanship allowed to produce jewelry for such famous brands as Lanvin, Balenciaga, Pierre Balmain, and Helena Rubinstein. Located in France, Orena jewelers produced lots of Art Deco and modernist style earrings, bracelets, necklaces and brooches under their own brand. 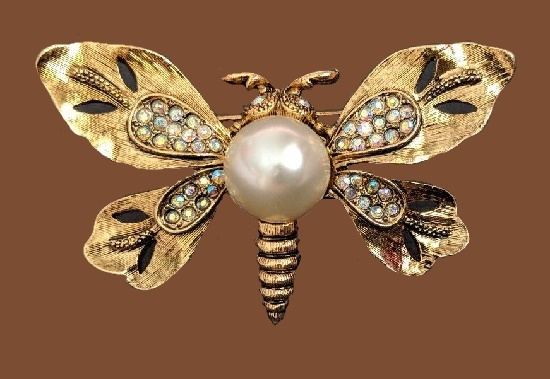 At the moment, costume jewelry labeled Oren Paris is desirable for lovers and collectors of vintage costume jewelry. 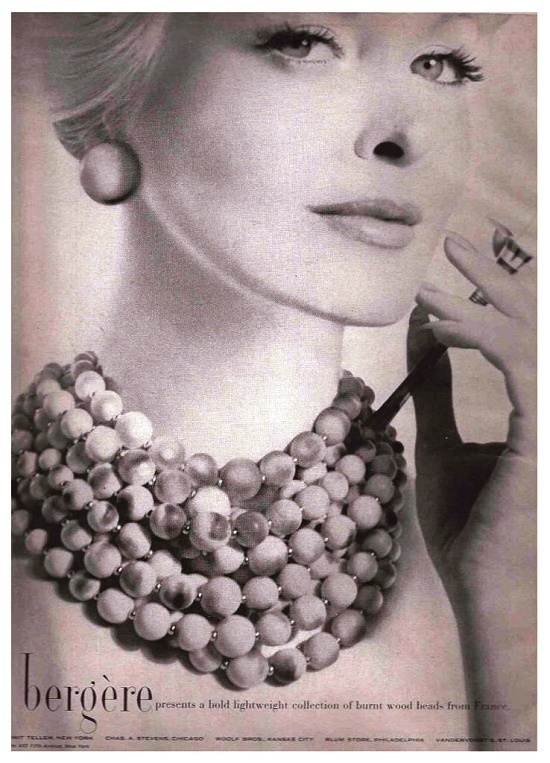 Founded in New York in 1940, L. Erbert & Pohls Inc produced Bergere jewelry from 1947 to 1979. Distinguished by high quality materials and exquisite design, costume jewelry has been very popular with women and jewelry lovers. Besides, products marked Bergere were quite famous, due to the fact that they often appeared on the pages of fashion magazines and advertising posters. Traditionally, jewelers made gorgeous necklaces, bracelets, pins, and earrings using artificial pearls, stones and gilding, rhodium, copper and other metals. 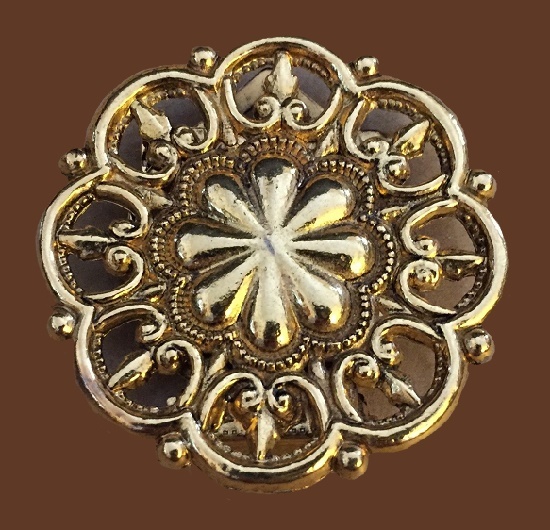 Bergere jewelery was sold at the Nordstrom, Lord & Taylor and Marshall Fields stores. Noteworthy, all the decorations of this American jewelery company had marks “Bergére”. Having worked about forty years, in 1979, the company ceased operations. Accordingly, all products are vintage and desirable for collectors and lovers of costume jewelry. Gene Verrecchia (Gene Verri) founded his own jewelry company Gem – Craft in Providence, RI in 1945, after the WWII. By that time he had worked as Coro’s lead designer for more than 30 years. His hands created real masterpieces for Coro, that’s why even having his company, he continued working with Coro. 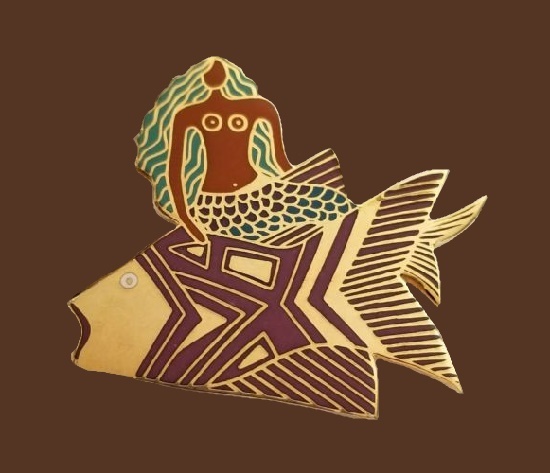 Originally called Craftsman, then Sample Art, he produced his own lines of jewelry as well as designed jewellery for famous jewelry companies and designers of the time. In particular, Oscar dear la Renta, Kenneth Jay Lane, Capri, R. Mandle, Tancer, Kramer, and Cadoro. The company flourished in the 1950-80s, when bright expressive decorations of the original design were created. Necessarily labeled, all Gem-Craft Corp decorations used a Craft stamp with a copyright sign since 1979. Gem – Craft brand jewelery is very rare, collectible, BUT the most important – beautiful, original and of excellent quality! Noteworthy, talented designer Gene Verri actively worked until his death at age 101 on December 30, 2013. The American company HALLMARK is famous worldwide as one of the largest manufacturers of greeting cards. Noteworthy, it has its history since 1910! First, it was Joyce Hall alongside with his brother, who began to import cards from Europe, and then print themselves beautiful Christmas cards. However, in addition to printed products, the company also produced gifts, Christmas-tree decorations and wrapping paper. Meanwhile, starting in the 1960s, the company began producing cute costume jewelery. Traditionally, Hallmark costume jewelery focuses on family values. In particular, decorations for birthday, Mother’s Day, family, faith and love stories. 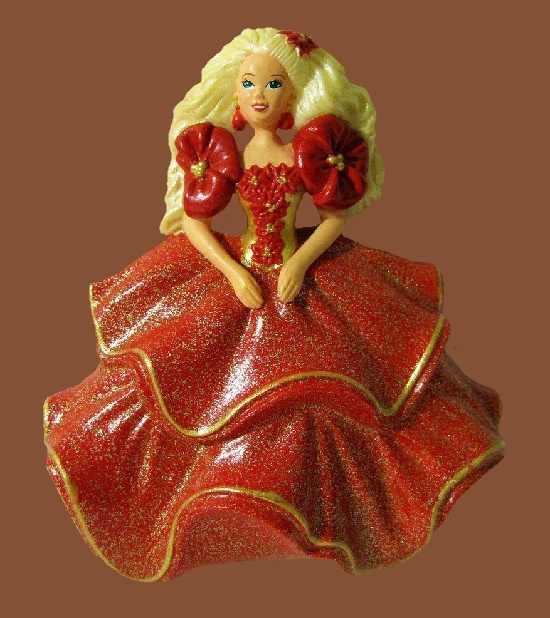 Made with the use of bakelite, jewelry alloy, porcelain, plastic and enamel – all these bright decorations are made by hand.